What will journalism look like in 20 years? Will robots be our primary reporters? Will social media updates be the main source of news, or will we have already pushed through into virtual reality reporting? It’s hard to say. Tech is changing journalism, along with everything else, at a stunning pace. To look forward even five years is a struggle on most accounts, but we do think we’ve identified some innovations that are here to stay, for better or for worse. For years we’ve feared the invention of content writing robots, and for good reason. They’re a risk to the livelihood of millions around the world, even if they are more efficient and objective writers. We’re not quite sure how quickly they’ll transform the journalism industry, but the bots are already here. 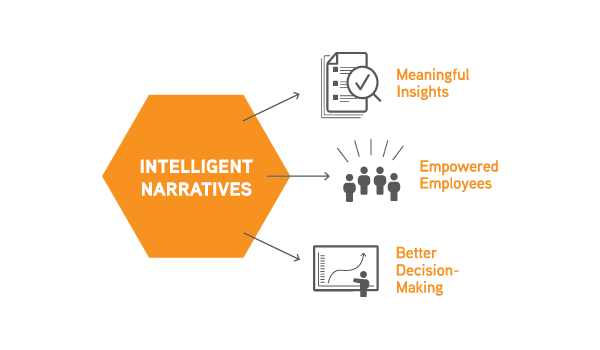 Narrative Science’s Quill A.I. launched in 2010 as an experiment from Northwestern University. The robo-reporter’s initial purpose was to transform data from baseball scores into traditional news stories. The results have a robotic feel and the A.I. isn’t so great at creative storytelling yet, but Quill marks a clear change of direction for data-driven content creation and reporting. How exactly it will play out in the broader journalism landscape? We’ll just have to wait and see. Though reading headlines from a dozen sites on Facebook or Twitter in a matter of seconds doesn’t seem odd to us these days, it’s important to remember that just a decade ago, most people didn’t even have smart phones. Bite-sized reporting is the new dollar section. Drawing readers into an article with a brief, time-affordable sound clip or controversial line is the new normal for securing clicks on screens. Traffic is money. Though the pursuit of readers long felt “dirty” in the world of journalism, income dynamics have changed. Generating traffic is necessary to keep the stories rolling. Headlines are more science than art. Clickbait titles aren’t just cheesy writing. They’re data-backed as effective traffic generators. Upworthy was one of the outlets that paved the way for clickbait titles. But they didn’t come upon the “9 out of 10 Americans don’t know this” and “you’ll never guess what happened next” by accident. For every article published, Upworthy would test 25 different headlines and analyze the results. They learned that humans hate to be deprived of information, which caused these headlines to be extremely effective—at least for a few years. Though the idea of shortening attention spans is disputed, it’s still clear that media outlets are being forced by unprecedented screen competition to focus on generating quick traffic and clicks. Though a lot of recent tech has placed new strains on the world of journalism, some companies are using innovation to improve the industry. For example, transcribing interviews is one of the tedious processes journalists despise. It’s time-consuming, it’s monotonous, and it can be a financial drain to outsource. However, we’re seeing transcription bots of a new caliber. They are fast, accurate, and cost-efficient. Trint’s A.I.-based software turns audio into accurate transcriptions in minutes for a fraction of the cost of manual transcribers. Transcribe in minutes, not hours. The bots listen and transcribe in less time than the original recording. Rapid revisions. The Trint Editor combines audio/video playback with text editing for quick, painless adjustments. Caption video clips. The software can optimize your video clips for silent viewing with accurate, time-appropriate captions. Are you using technology to produce better content? Each and every day, more people are using technology to speed up, automate, or improve their content in some way. The journalists, producers, and marketers who continue to rely on manual methods are quickly being left behind. In the 21st century, content creators and producers need every advantage they can get. We’d love to show you how our transcription platform can help your team thrive. Feel free to email support@trint.com.